Prerequisite(s): No previous health and safety knowledge is required for the 17 day course, although it is advisable that candidates do have an understanding of the basic practical aspects of the construction industry. It should also be noted that the examination includes a requirement to write a short report. The course is aimed at Supervisors, Managers and Principle Designers within the construction industry who are required to ensure that activities under their control are undertaken safely. 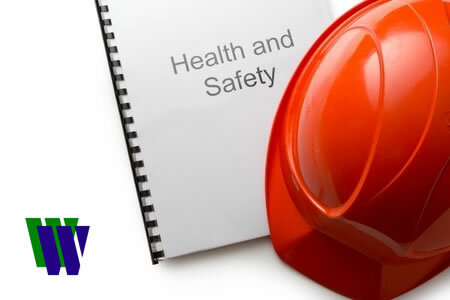 The NEBOSH National Certificate in Construction Safety and Health covers the main legal requirements relating to health and safety in UK construction work, including an understanding of the Construction (Design and Management) Regulations 2015. It includes identification and control of construction workplace hazards, and the practical application of this knowledge. The NEBOSH National Certificate in Construction Safety and Health aims to build on the knowledge gained in the NEBOSH National General Certificate. It is established as a leading award in construction health and safety. The course is aimed at Supervisors, Managers and Principle Designers within the construction industry who are required to ensure that activities under their control are undertaken safely. It is likely to prove useful for those concerned with the management of buildings who may need to ensure that contractors are working safely. The qualification is also appropriate for supervisors and managers working in other industries such as utilities, and even broadcasting, where temporary workplaces are a feature of their activities. In addition, those working in health and safety in other occupational settings, but who require additional construction-specific knowledge may also benefit from the course. Holders of the NEBOSH National Certificate in Construction Safety and Health are entitled to Associate Membership (AIOSH) of the Institute of Occupational Safety and Health (IOSH). The qualification also meets the academic requirements for Technician membership (TechIOSH) of the Institute of Occupational Safety and Health (IOSH) and Associate membership (AIIRSM) of the International Institute of Risk and Safety Management (IIRSM). Those who hold the NEBOSH Construction Certificate are eligible to apply for the CSCS Academically Qualified Person (AQP) yellow/white card whilst they gain vocational qualifications or membership of a recognised professional body. This card is valid for five years and is currently non-renewable. All applicants must still pass the CITB Managers and Professionals Health, Safety and Environment Test. The course is presented in three different course models. – The 17 Day Course; this is a combined NEBOSH National General Certificate in Occupational Safety and Health and NEBOSH National Certificate in Construction Safety and Health course which covers the NGC1, GC2, GC3, NCC1 and NCC2 units. – The 10 Day Course; this is the “standard” NEBOSH National Certificate in Construction Safety and Health course which covers the NCC1 and NCC2 units. – The 5 Day course; this is the NEBOSH National Certificate in Construction Safety and Health “Bolt-on” course which covers the required content to convert from Unit GC2 to Unit NCC1. Units NGC1 and NCC1 are taught units each assessed by a two-hour written examination. Each written examination consists of ten ‘short-answer’ questions and one ‘long-answer’ question. Unit NCC2 is a two-hour practical examination carried out by the candidate in their own workplace. Block Release [17 day] course – 3 x 1 week blocks and 1 x 2 day block [not including weekends]. Block Release [10 day] course – 1 x 4 day block, 1 x 1 day block and 1 x 1 week block [not including weekends]. Block Release [5 day] course – 1 x 1 week block [not including weekends]. – The 10 Day Course; this is the “standard” NEBOSH National Certificate in Construction Safety and Health course which covers the NCC1 and NCC2 units. The NEBOSH Construction 10 day course is ideal for those delegates who are current NEBOSH NGC1 unit holders (passed within the last 5 years) who do not hold the GC2 unit. – The 5 Day course; this is the NEBOSH National Certificate in Construction Safety and Health “Bolt-on” course which covers the required content to convert from Unit GC2 to Unit NCC1. The NEBOSH Construction 5 day course is ideal for those delegates who are current NEBOSH NGC1 and GC2 unit holders (passed within the last 5 years). The Course Duration is approximately 160 hours. The course comes with 18 months access for NGC1, NCC1 & 2 to all digital materials plus tutor support. Additional offline study time (using the downloadable PDFs) will vary. You can study online on most devices; iPad, tablet, smartphone, PC, etc. The Course Duration is approximately 100 hours. The course comes with 12 months access for NCC1 & NCC2 to all digital materials plus tutor support. Additional offline study time (using the downloadable PDFs) will vary. You can study online on most devices; iPad, tablet, smartphone, PC, etc. – NEBOSH Registration Fee for the NGC1 and NCC1 examinations is £46.00 (no VAT) per unit. Our administration / invigilation fee is £45.00 + VAT per unit examination. – NEBOSH Registration Fee for the NCC2 practical examination is £23.00 (no VAT). Our administration / marking fee is £85.00 + VAT for the examination.